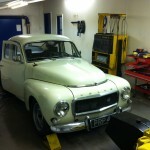 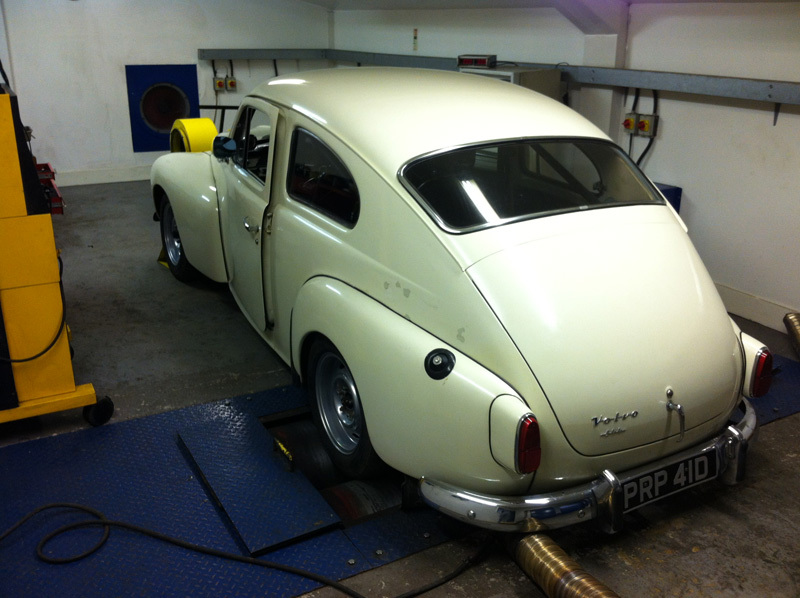 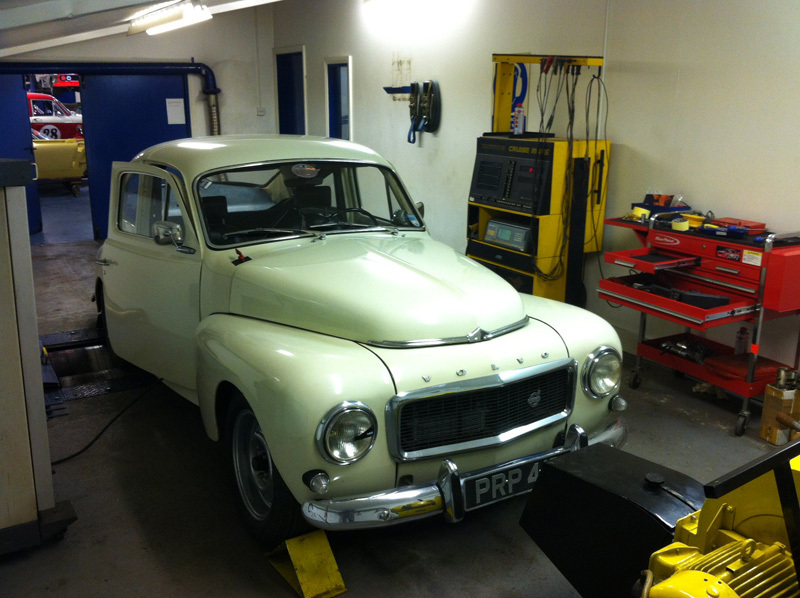 Richard Conway brought his lovely PV544 down for a rolling road setup. 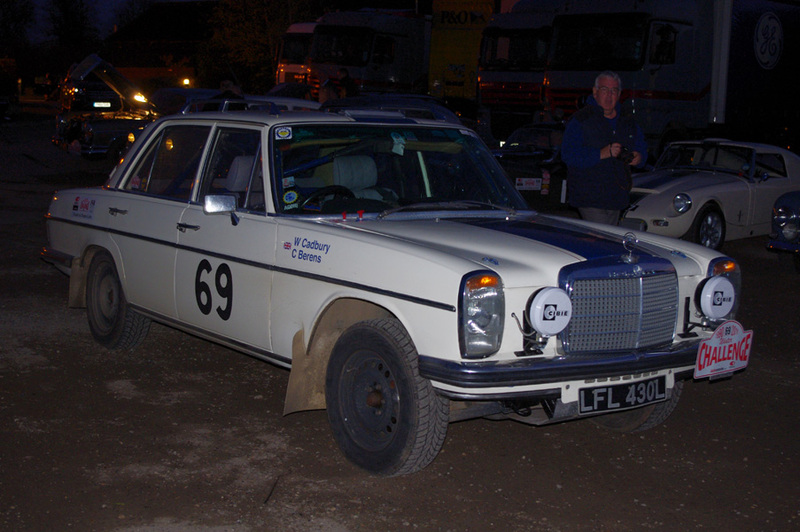 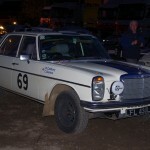 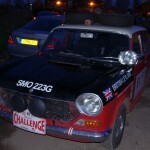 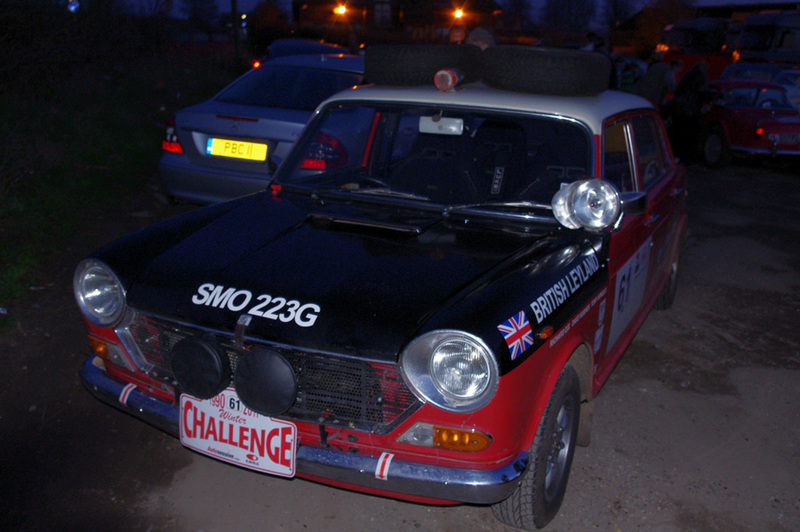 Richard’s PV has a nice patina and was previously owned by a Swedish rally driver. 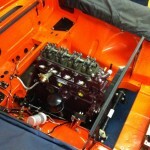 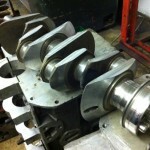 Graham found that the twin weber carbs had a couple of odd jets which were swiftly replaced. 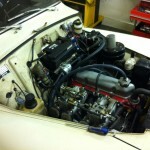 The engine is running much better now ready for a couple of track days. 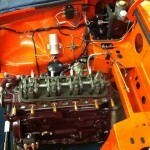 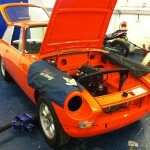 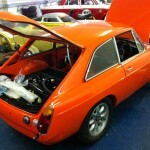 Orange MGB GT build up. 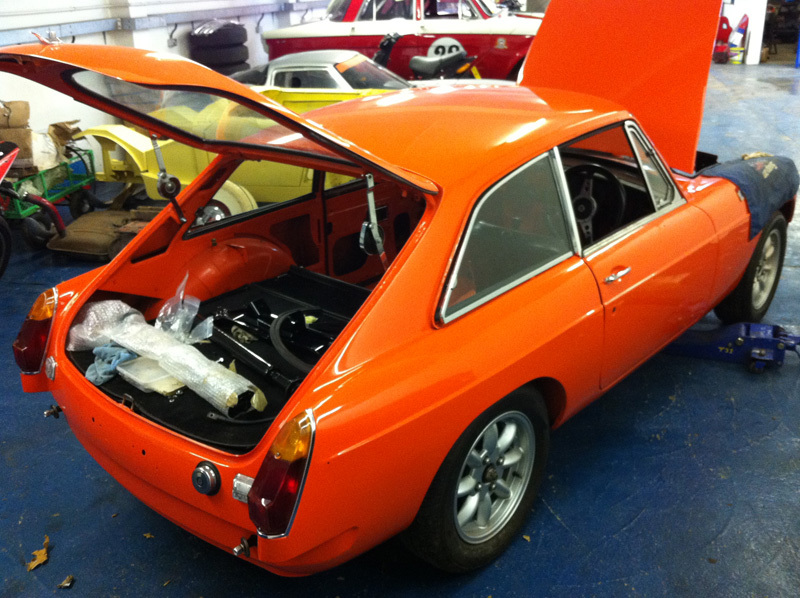 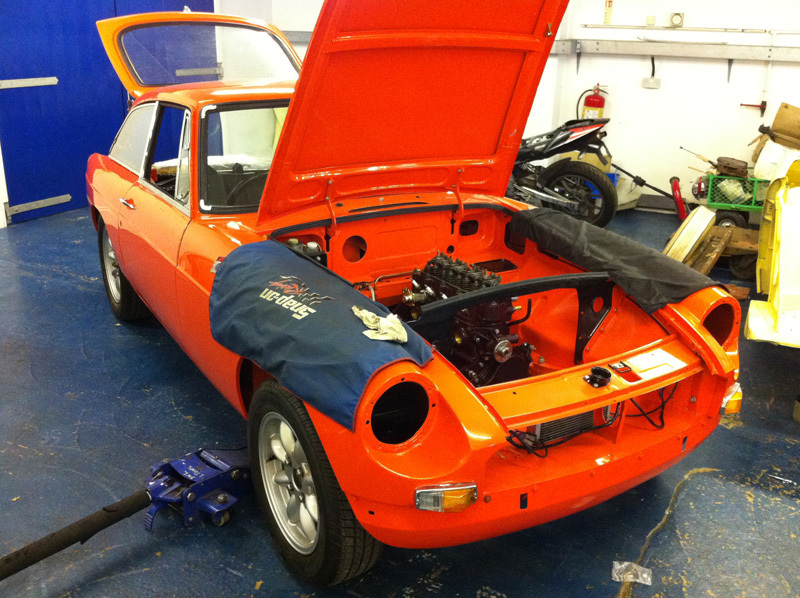 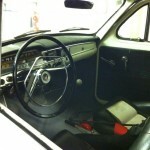 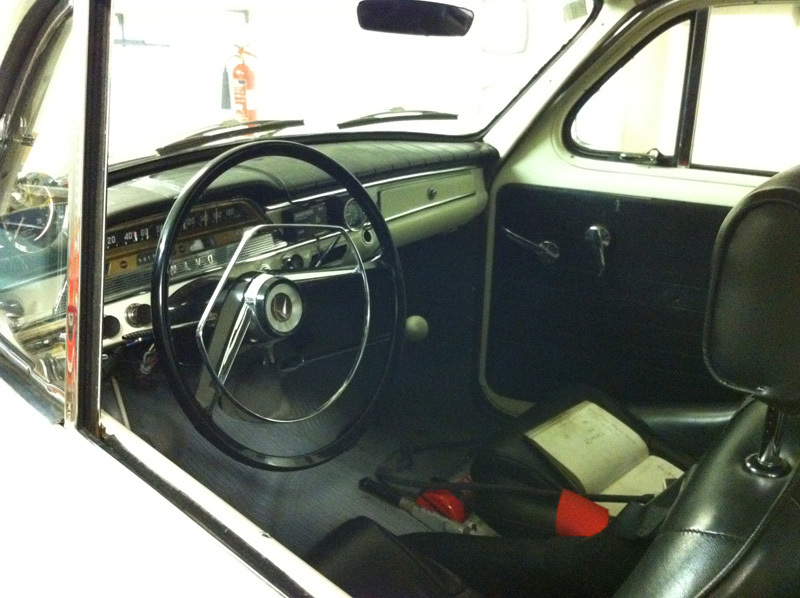 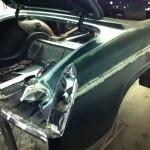 We are are part way assembling this lovely MGB GT for a customer. 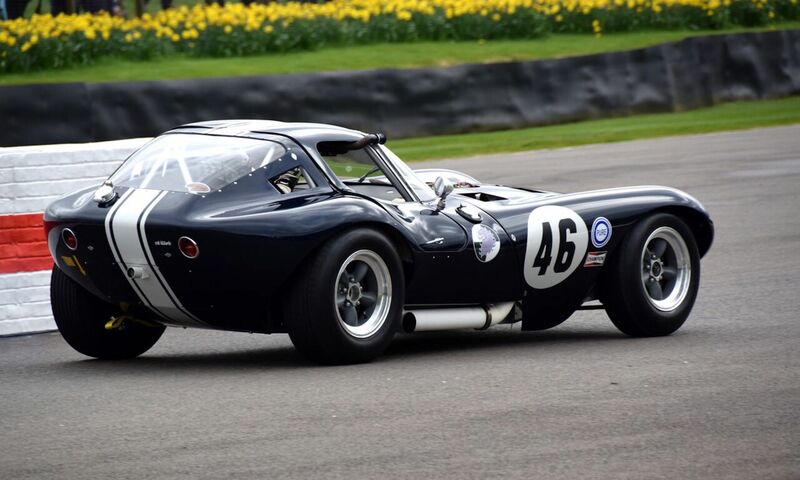 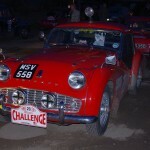 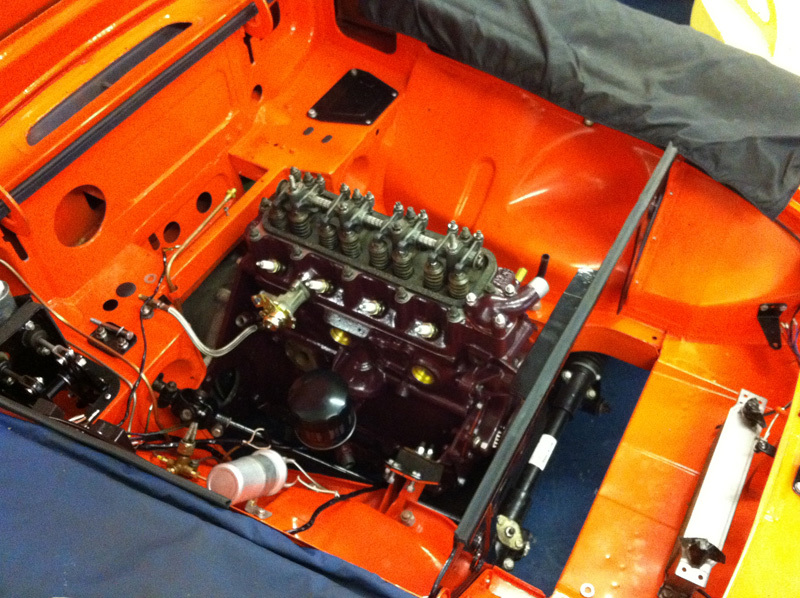 Graham built the engine which received a little cylinder head work and a fast road cam. 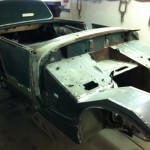 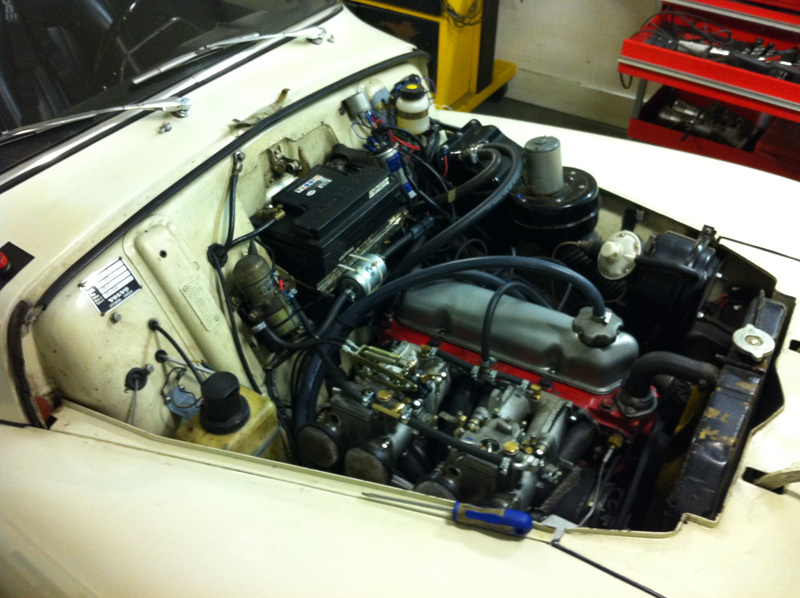 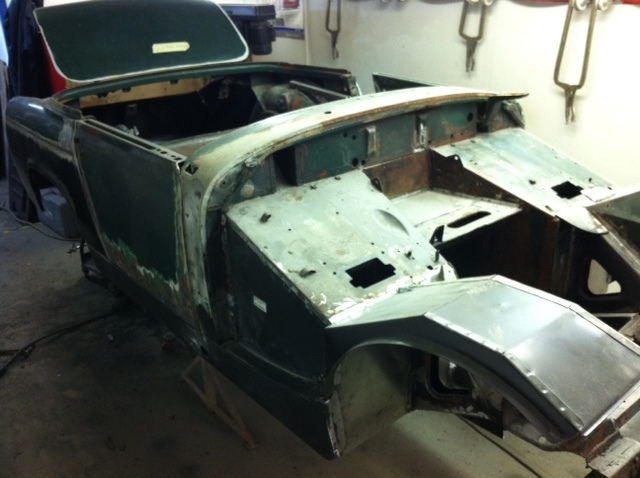 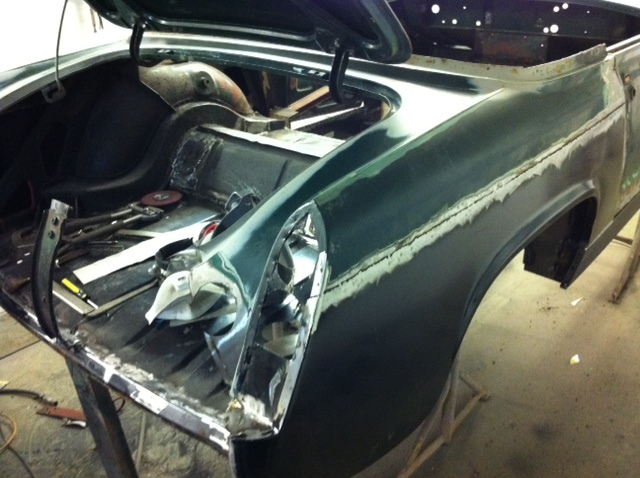 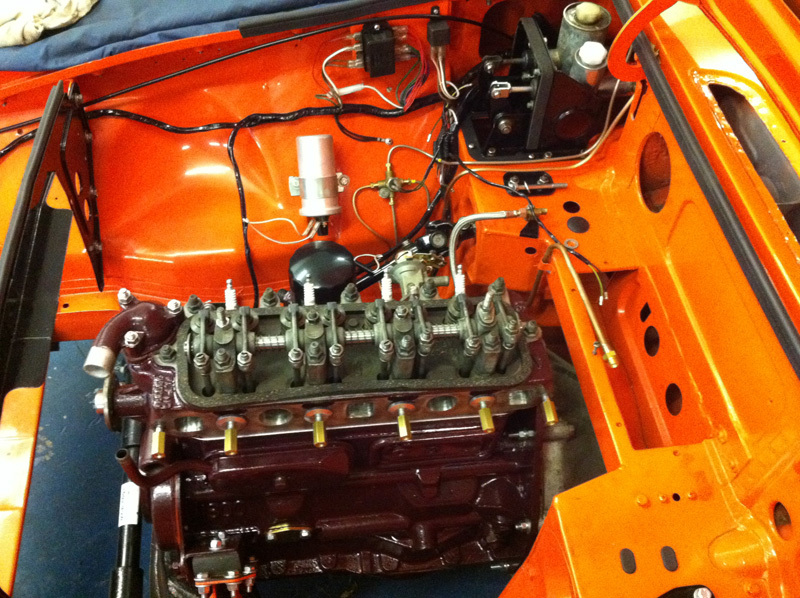 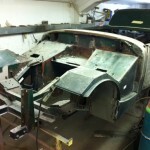 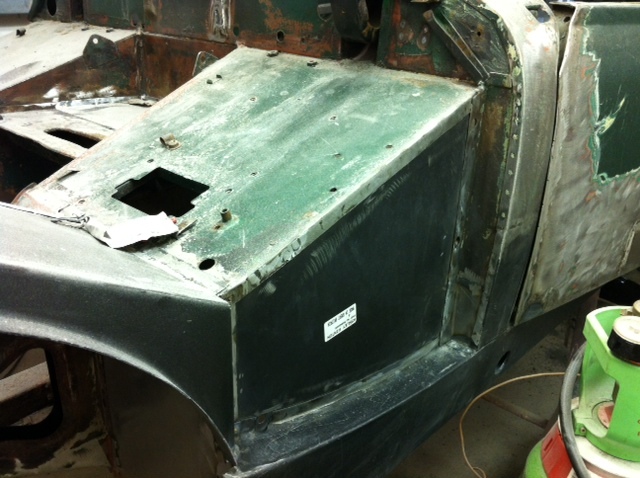 We are currently restoring a MG Midget for a customer. 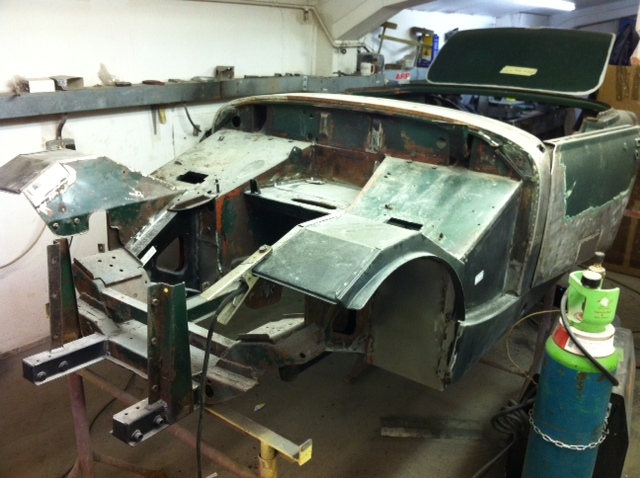 It was awfully rotten but Ian Goodwright has done a cracking job and bringing it back from the brink. 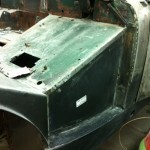 Lots of welding and new panels but this little Spridget will live once again. 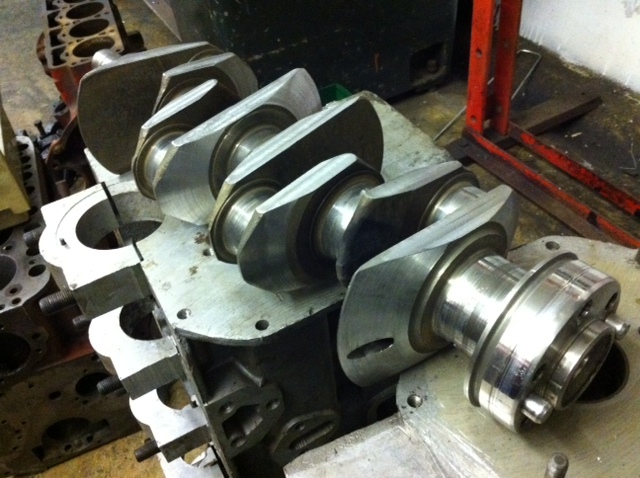 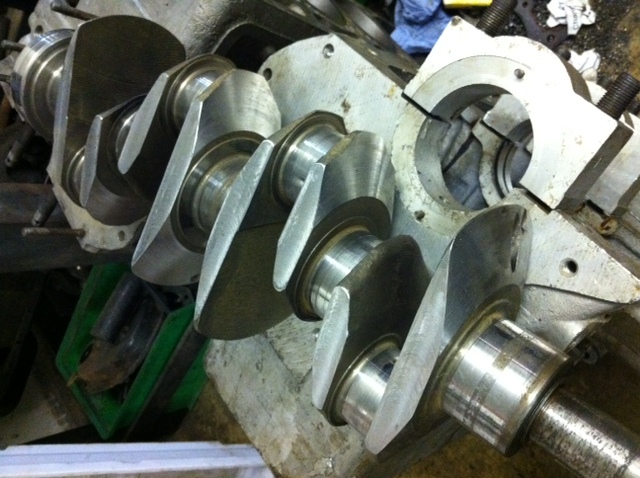 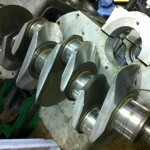 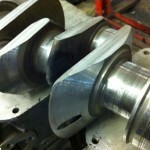 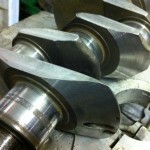 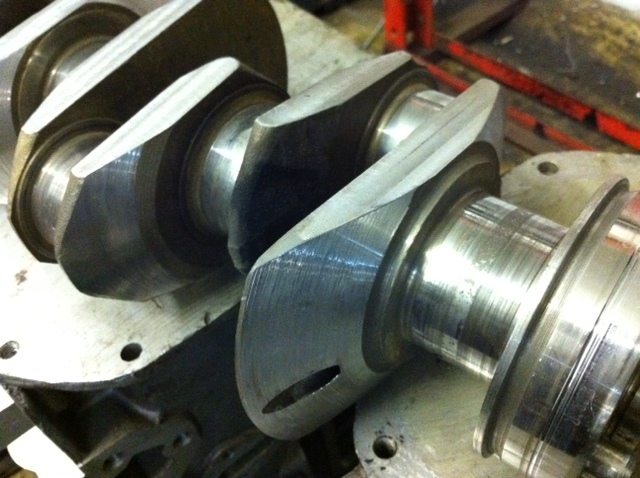 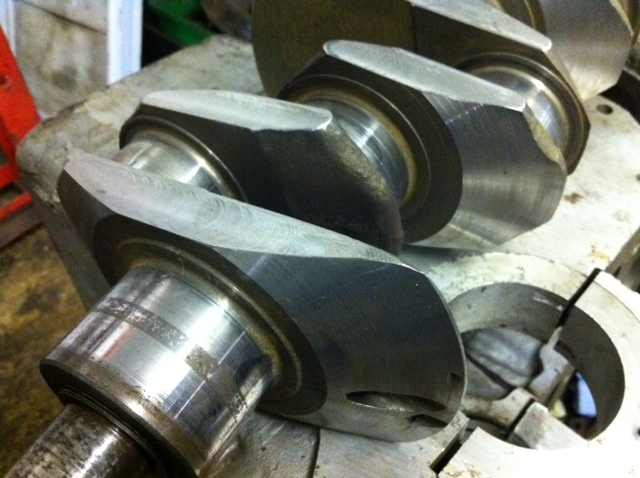 ‘B’ Series crank wedged and bladed in house by our very own Graham Smeeton. 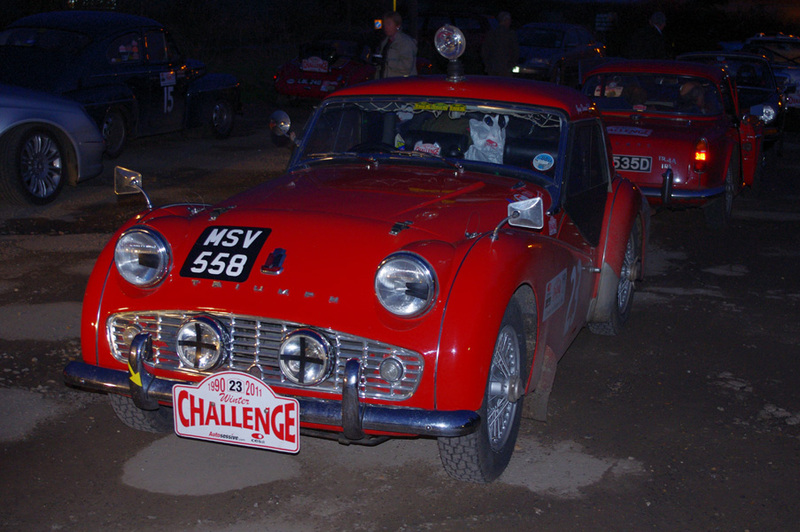 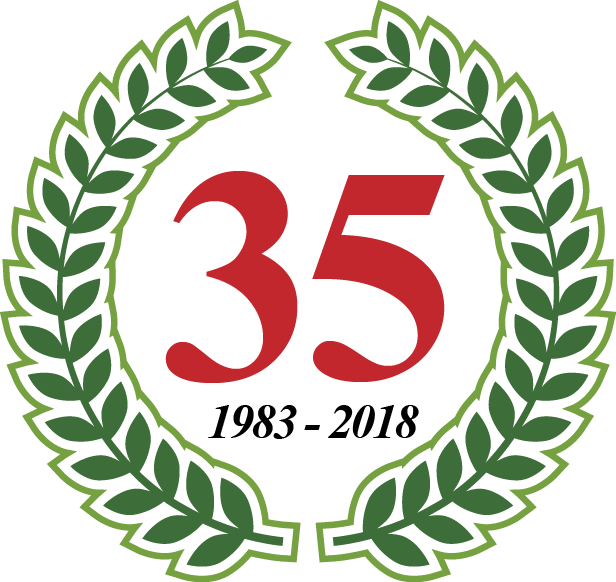 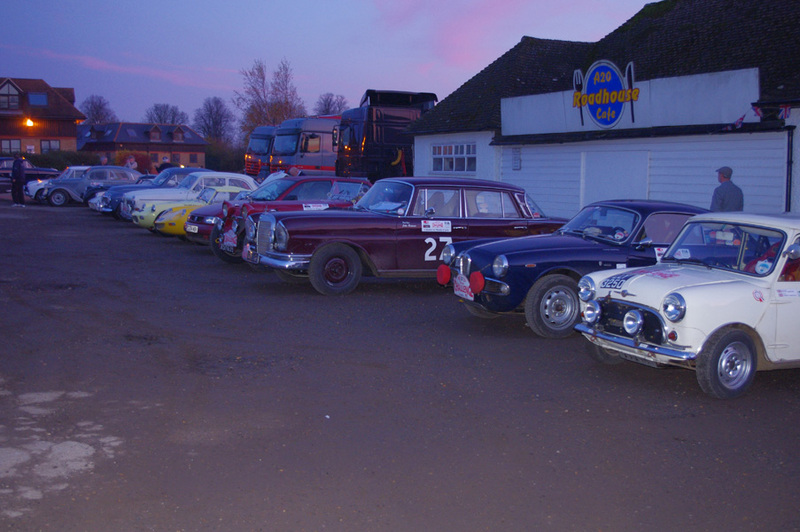 We are taking a handful of Lenhams down the road to the Historic Lenham Cafe to meet the crews of the 2011 Monte Carlo Winter Challenge as they stop off for a cup of tea before crossing the Channel. 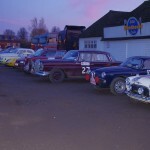 Come and join us for the send off and a cup of tea.